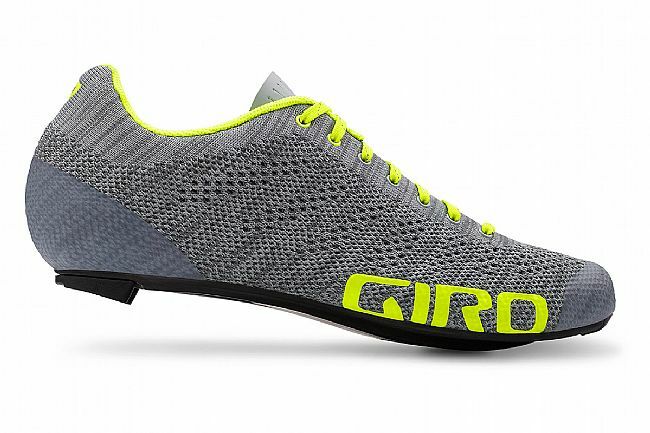 The Giro Empire E70 Knit Road Shoe brings knit upper technology to the world of cycling. Providing unmatched breathability and comfort, this shoe features a durable water repellent (DWR) treatment that adds water resistance for further protection. With a traditional lace-up closure and a modern fit and finish, these shoes walk the line between the past and the present, while providing future-proof performance. Starting with the Xnetic™ Knit, the upper of this shoe brings knit fabric to the world of high-performance cycling shoes. An internal TPU skeletal system provides the rigid structure on which the highly breathable knit fabric wraps around. This knit offers the perfect balance between suppleness, breathability, ventilation, and protection. Outside, TPU reinforcements are added to the toe and heel to provide enhanced resistance and durability. Down below, Giro went with the industry-leading Easton E70 carbon fiber sole. Featuring a unidirectional carbon fiber construction, the E70 was engineered for high-output cycling, providing instantaneous power transfer that enhances the rider-bike connection. Inside, the molded EVA footbed supports the foot, providing natural arch support. 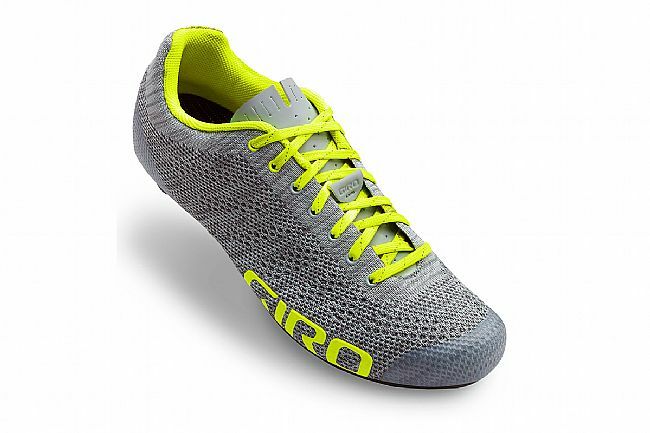 The Giro Empire E70 Knit Road Shoe is compatible with 3-bolt cleats and road pedals. 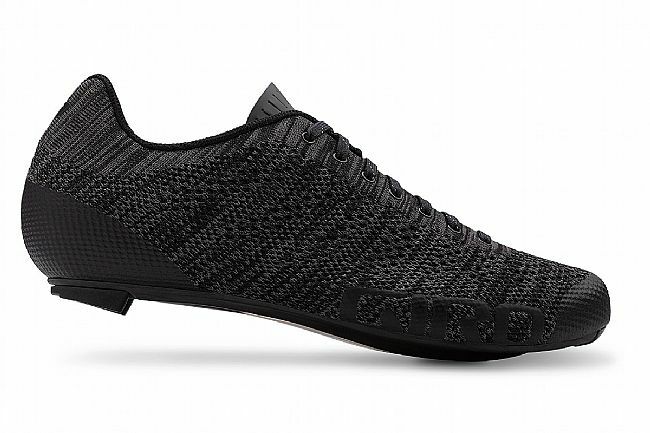 Bringing knit technology to the world of cycling, these shoes deliver outstanding breathability, comfort, and support. 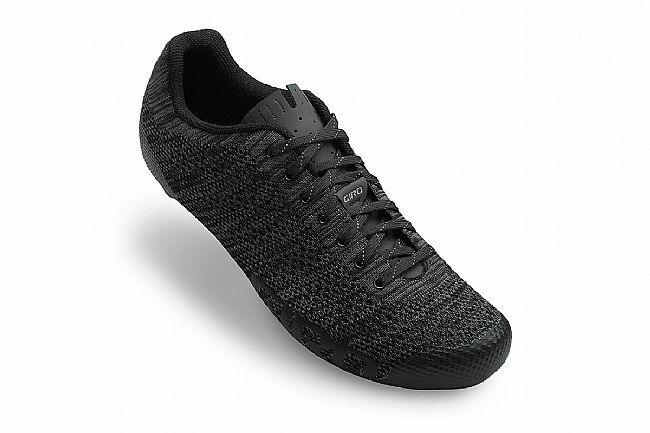 Xnetic™ Knit features DWR-treatment for water repellency, and features TPU-reinforcements at the toe and heel. Molded EVA footbed provides natural arch support. 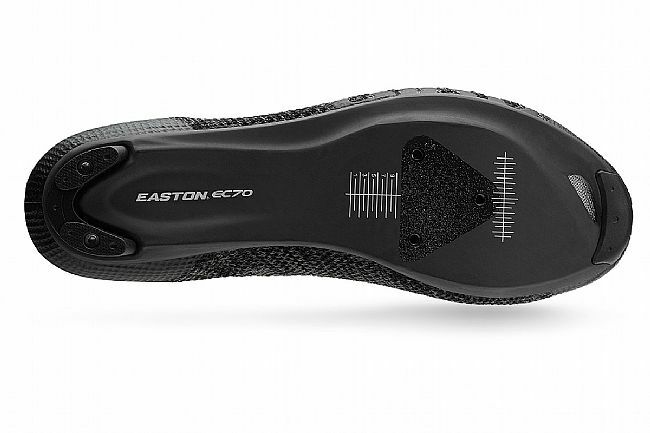 Easton E70™ Unidirectional carbon fiber sole provides unrelenting power transfer. Claimed weight: 250 grams (42.5). I wore Sidi only for 10 years because they felt great. Two years ago they started to hurt my feet. I tried at least half a dozen pair of new shoes various brands since , and none were pain free . These have been the best, better than some costing twice as much. The soft top makes a big difference for me. I use the carbon SuperFeet insoles with these and they got great. these from BTD. Really nice to ride again without foot pain finally!